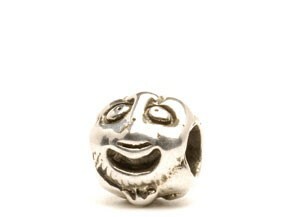 The Trollbeads story originally started in Denmark back in 1976. The fashion at this time was to wear a leather thong around the neck, adorned with a silver bead. The founder of Trollbeads, Søren Nielsen, decided that instead of the bead hanging from an eyelet he wanted the cord to go through the bead, and this led to the production of the first bead, ‘Faces’, which featured six ‘troll’ faces – hence the brand name of ‘Trollbeads’. The beads were sold from his father’s and sister’s jewellery shops. One day, a customer asked for another bead to be put on their bracelet – and it is from this request that ‘Trollbeads’ were born. To this day, members of the Nielsen/Aagaard family participate in the actual sculpture of the beads, as well as the manufacturing. As the beads became more popular, the brand diversified with the inclusion of pearl beads, gold beads and new locks. In 2001, the brand took its first venture into glass beads, which leads us to who Trollbeads are today.